I love the Mizuno Wave Universe series. I have raced in the 3, 4, and 5, but the 4 is my all time favorite. It was the perfect 5k racing shoe (in my humble opinion) at 3.9 ounces, a nice comfortable fit that could be dialed down and a really responsive feel. The shoe disappeared off the feet and I used it as my racing shoe for over a year. 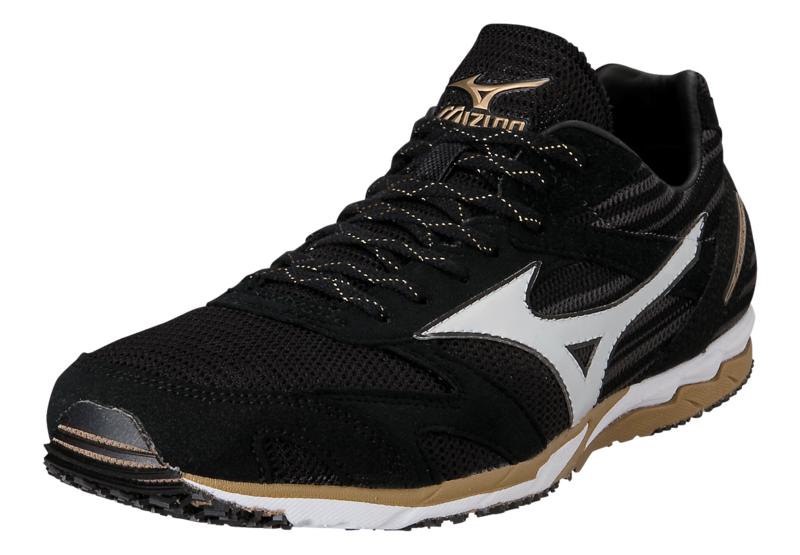 Mizuno decided to upgrade it to the Mizuno Wave Universe 5 (REVIEW) which was great, but not as good as the 4. It didn't feel the same, wore out quickly... and I moved on. I had always kept an eye on the Ekiden, but had never taken a chance on them. Finally I made the move and was glad I did. The Wave Ekiden is the Wave Universe 4 with just a hair more there. And it a really cool Japanese racing flat. I am also racing in the Adidas Takumi Sen 2 right now and I have to say, both of these shoes give the feel of high quality the second you put them on your feet. Asia knows how to make really high quality and cool shoes, especially racing flats. 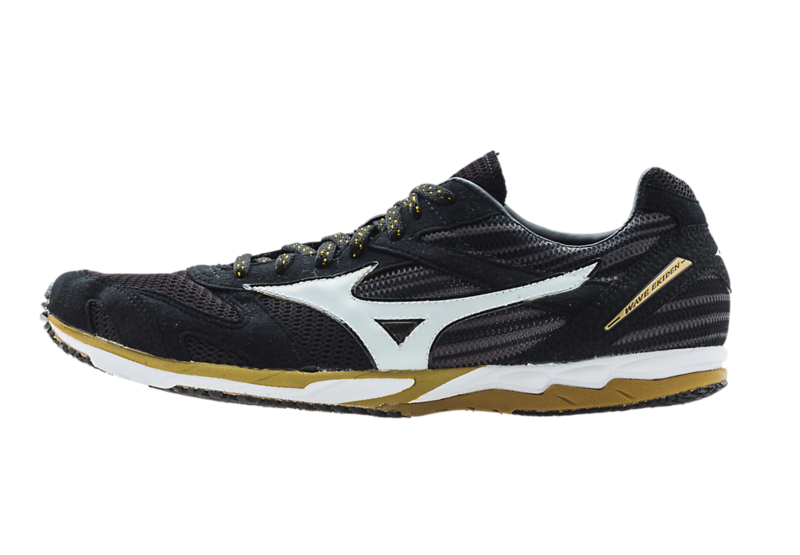 The Mizuno Wave Ekiden is no exception. 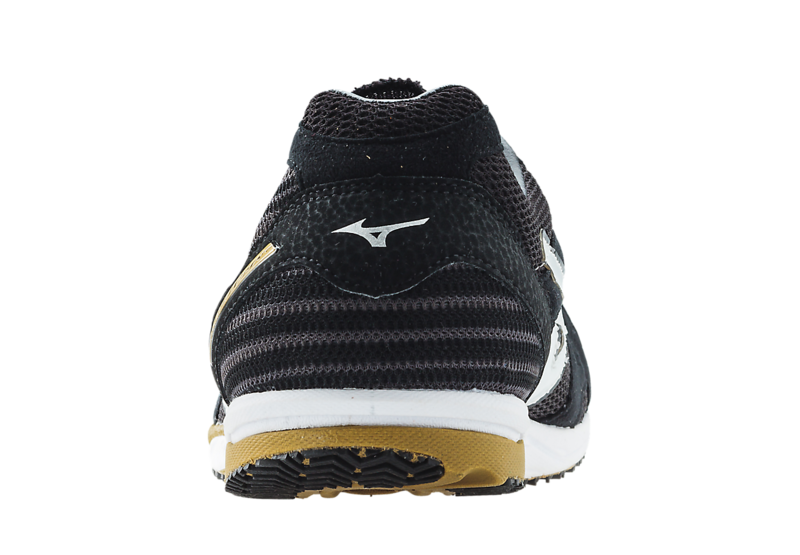 Sole: I would describe the Wave Ekiden as the Mizuno Wave Universe 4 with just a little bit more underfoot. I can feel that small increase in material and it definitely keeps your feet comfortable during races. This is a shoe that easily handle 5k-10k and maybe even the half and full marathon. It's not a super cushioned shoe, but there is just enough there that combined with the 4.7 ounce weight you will totally forget about your feet. The grip is also much better on both road and XC/trail. I have used this shoe on wet roads and an XC course with dirt, grass and trail. The Wave Ekiden has performed very well on all of them. Upper/Fit: The upper is drool worthy. It is extremely comfortable and high quality. The upper completely disappears off your feet when running. There is plenty of room for the toes and it is not a super tight fitting flat. The shoe does really stay on to your feet, especially if you lace lock them (I do that with all my shoes). The upper is not super thin, but there is just enough there that I don't think I'll ever worry about durability issues. There is a small heel cup in the back, but it isn't noticeable and keeps your feet locked in. The achilles tab is perfect. It is very comfortable and I love the split for the achilles tendon. More racing shoes need this! I don't' know what else to say other than the fact that Mizuno nailed the fit of the shoe. Responsiveness: This is a fast racing flat. It has a nice balance of pop and protection. The Wave Universe 4 definitely has more pop, but lacks that extra bit of protection that allows this shoe to be used from the 5k to the half marathon and beyond. Heel-Toe Drop/Ramp: This is supposed to be a 6mm drop shoe and it feels somewhere in that 4-6mm range. Just a hair more drop that seems to save your legs for longer races. 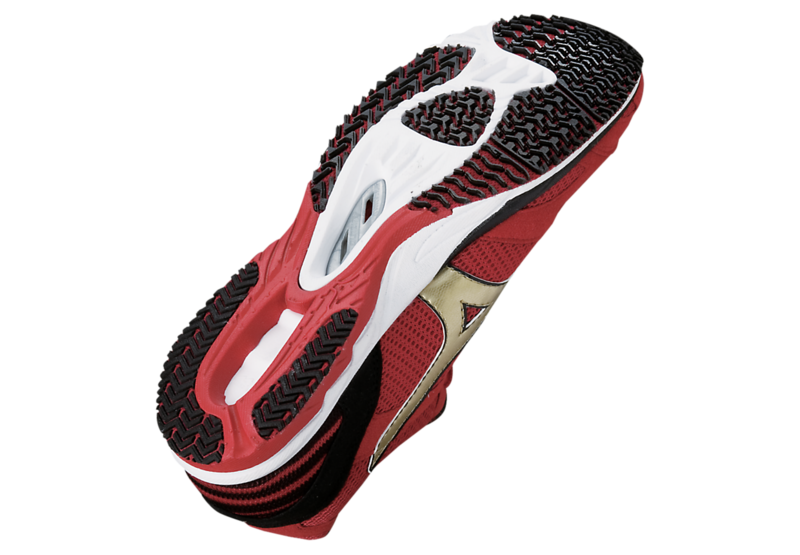 I can understand why elite Mizuno athletes can race in this shoe up to the marathon. Durability: The durability is decent. It is a racing flat, but I think I can get over 150 miles in these. Currently I'm at 82 miles and they look fine. The upper looks exactly the same when I bought it and there is some, but not too much wear on the sole. Way better than the Wave Universe 4 and 5. Weight: At 4.7 ounces, this shoe will disappear off your feet. While the Universe 5 is almost 2 ounces lighter, I need to remind you of the amazing range of this shoe. This is the only shoe I can think of that you could use up to a marathon that is under 5 ounces (again, your leg strength and endurance may vary). Thoughts as a PT (Student): I can see nothing wrong with this shoe as a racing flat. Obviously I would not suggest training in it if you have biomechanical issues, but if I had known about this shoe during my super minimalist phase, this would have been on my feet all the time. I really like the full ground contact which gives it a more stable ride (not supportive. There is no medial posting in this shoe). The upper is fantastic as I mentioned early and does not constrict the toes at all. The toe spring isn't too bad either. The heel counter isn't hard or soft, but provides just enough to keep your rearfoot relatively locked in. I have no problems with this shoe. Final Thoughts: I love this shoe. It is the Wave Universe 4 with just a bit more. I have enjoyed racing in these and have won 2/3 races I've used them for. I will continue to use them and hope to get my feet and legs strong enough to use them in my second half marathon (whenever that ends up being). I have never had a more comfortable short distance racing flat in my life and will continue to use these. Additionally, although I don't usually comment on this, they look awesome. Again... the developers in Asia know how to make racing flats. They just make you feel fast. These shoes were a personal purchase and I put at least 100 miles on every pair of trainers and 50 miles on every pair of racing flats before I review them. Currently I have 82 miles on my pair. 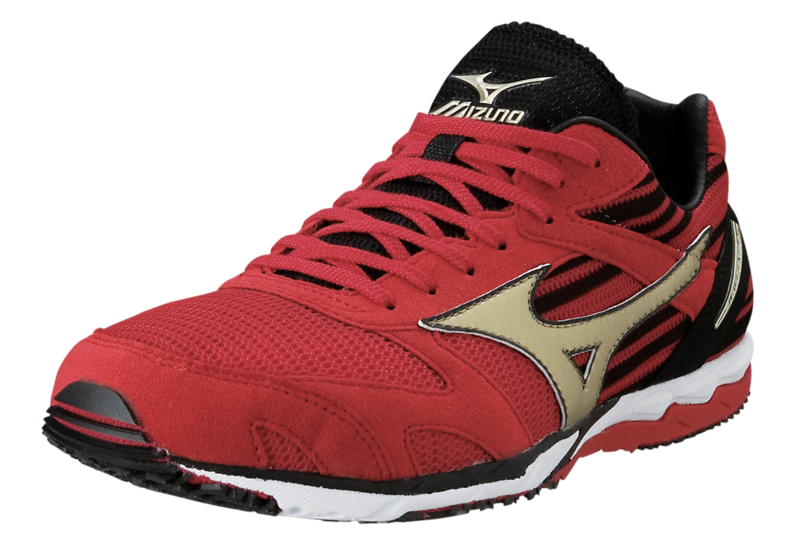 *Images obtained from the Mizuno Running USA website. Head down to your local run specialty store to check them out!